As mentioned in my about me blog post, although I don’t advocate one camera system over another, my personal choice is the micro four thirds system due to it’s mix of great image quality, light weight /portability, comfort and direct physical controls. Although they may not match the image quality of some high-end DSLR’s due to a smaller smaller sensor, the quality is of a very high standard and definitely sufficient for a wide range of photography needs. For example, Jay Dickman, a Pulitzer prize winner who has photographed for National Geographic for a number of years in many conditions exclusively uses the micro four thirds system. Is low light performance any good? 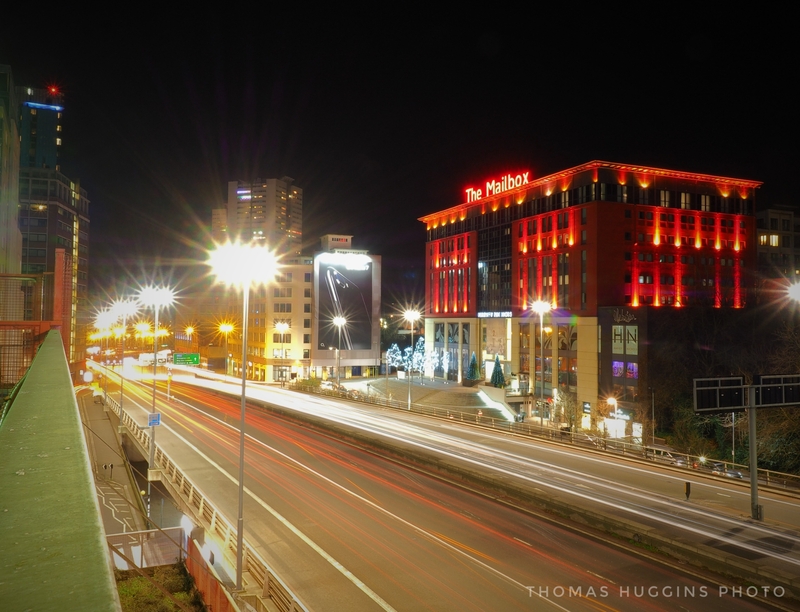 A long exposure shot of The Mailbox in Birmingham: ISO -100, shutter speed -73 seconds, aperture – f18. Many who may be considering this type of camera worry about how they perform in low light. There are articles all over the internet regarding this. What has my experience been? If you use the correct exposure (this is vital) they perform very well! All the low light photos taken in this post are with my Olympus OMD-EM1 and M.zuiko 12-40mm f2.8 lens and I’m more than happy with them. 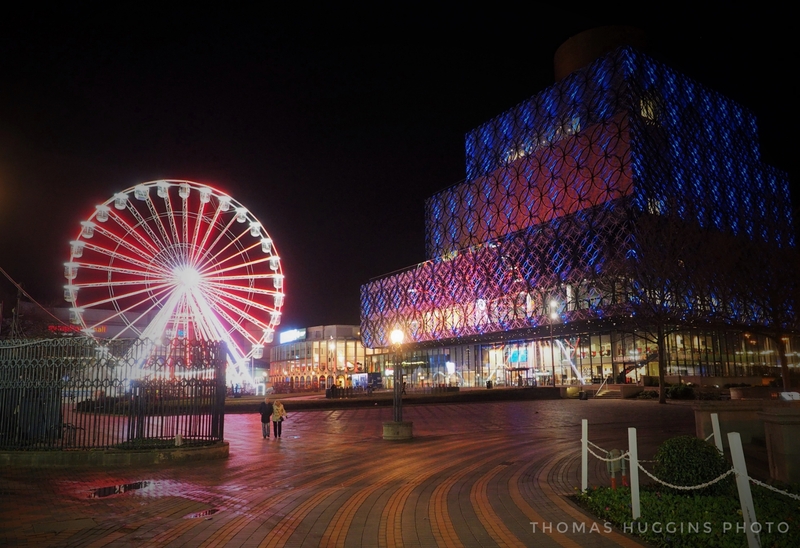 The Library of Birmingham and The Wheel: ISO – 2000, shutter speed – 1/40, aperture – f2.8. The key thing that I keep reiterating is to expose correctly. why? Many DSLR users may be used to exposing images dark and pulling details from the shadows while editing later. Micro four thirds cameras do not behave the same as DSLR’s in this regard. Physics is physics. The smaller the sensor, the smaller the dynamic range. Images will be much noisier on a micro four thirds camera if you attempt to treat it like a DSLR in this area. So make sure your exposures are very close to what you want your final image to look like. 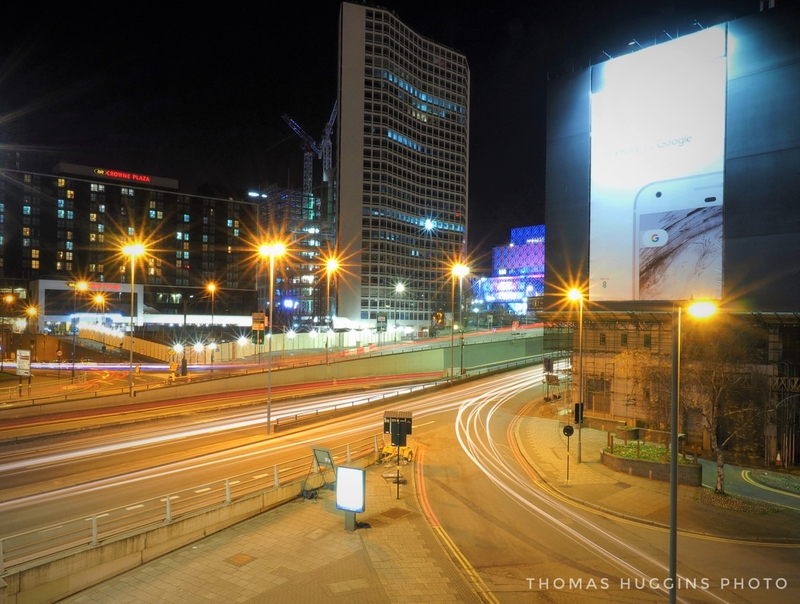 A long exposure of Birmingham city from the town Hall car park: ISO – 100, shutter speed – 73 seconds, aperture – f22. It’s beneficial to understand how your camera is behaving in relation to the scene that you want to capture. Why? This will give you a better idea of what settings you will need in different conditions. The histogram is a wonderful tool for this. However it is only a guide, not the Photographer. No conditions indoor or outdoor are exactly the same. From time to time, your histogram may tell you that an image is correctly exposed, but when you look at the image yourself in the viewfinder you may see areas that are too dark or are blown out. It may also at times tell you that an image is not correctly exposed, but the image looks very pleasing to the eye and colours, highlights and shadows look well balanced. In these situations you as the Photographer know the kind of image you want. The histogram doesn’t. Change your settings according to the image you want. Otherwise you may well end up with an image you are not satisfied with. This is the beauty of understanding how to shoot manually, you are in control of your image and not the camera. 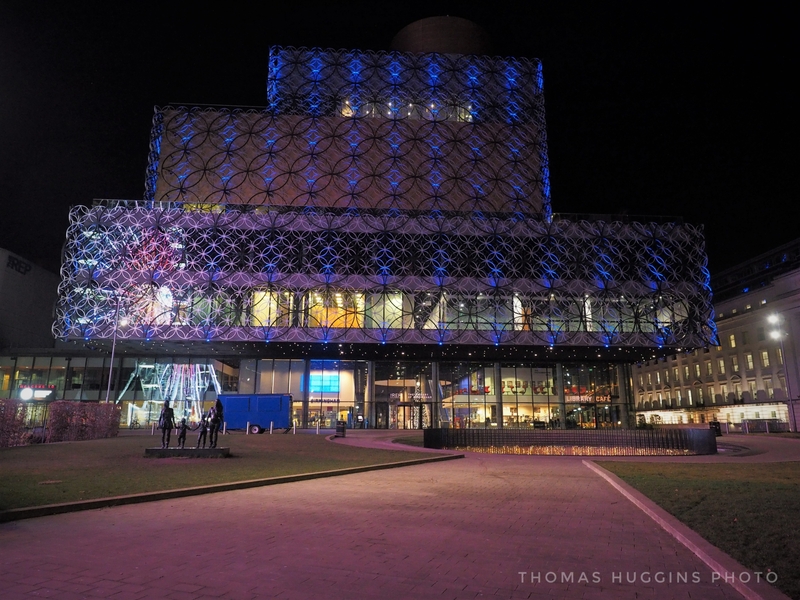 Library of Birmingham: ISO – 2000, shutter speed – 1/50, aperture – f3.5. 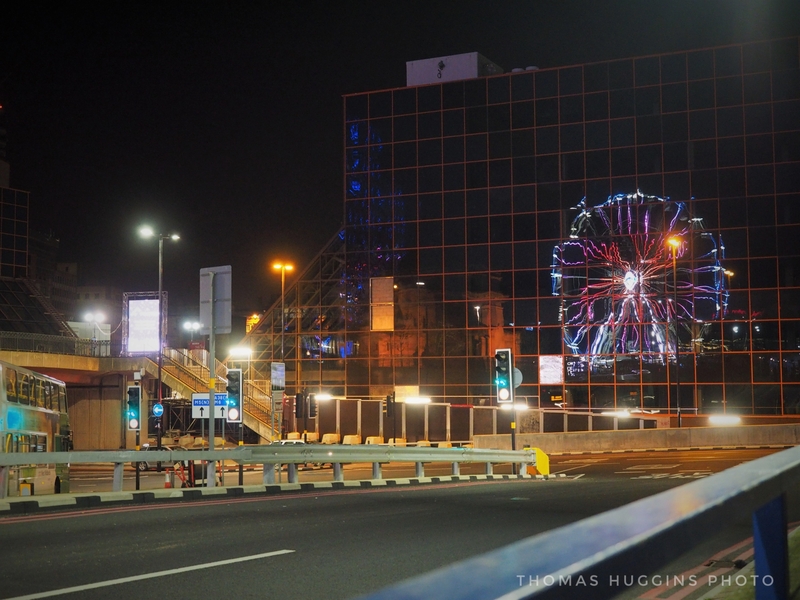 A reflection of The Wheel: ISO – 2000, shutter speed – 1/40, aperture – f2.8. 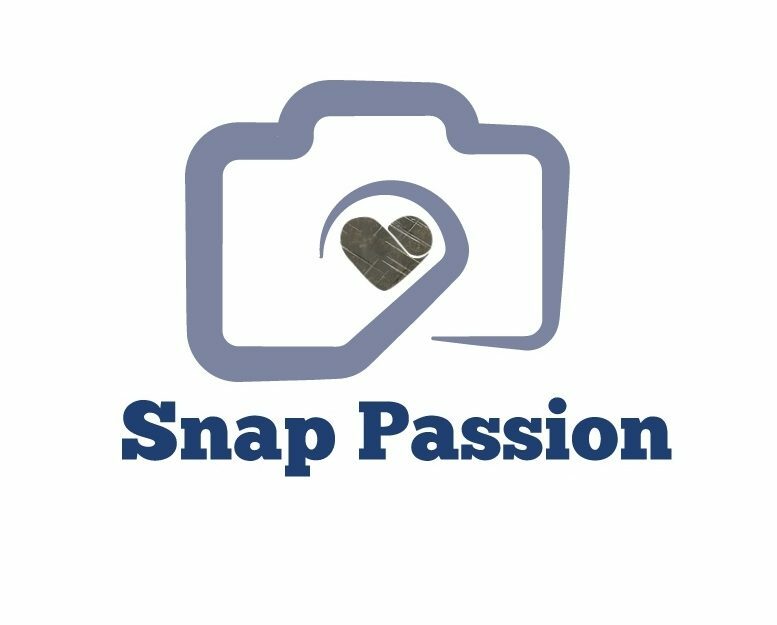 Hopefully this post gives you a good idea not only of micro four thirds cameras and lowlight performance, but of your needs as a photographer in relation to low light photography, and what you are looking for in a camera. Thanks for reading!